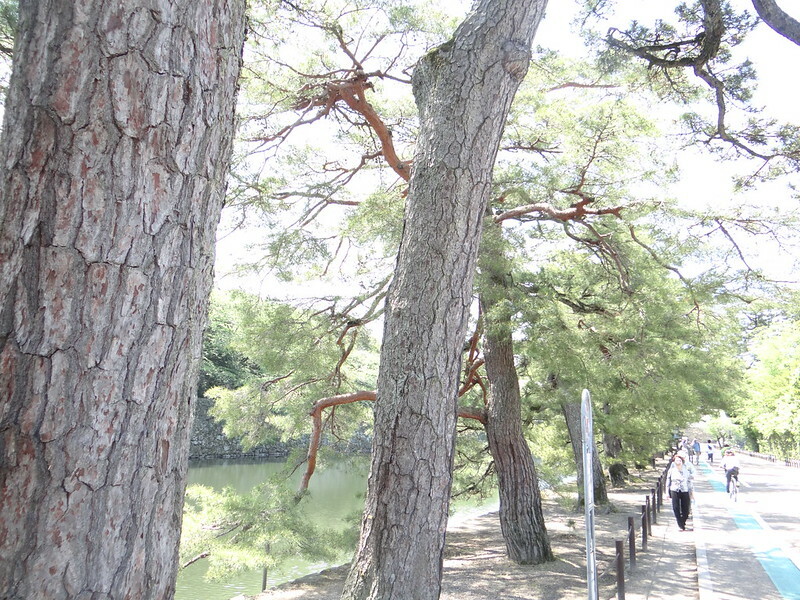 These trees are called "Irohamatsu" because originally there were 47 pines in this area. "Iroha" is the word for the old Japanese alphabet in which there are 47 characters, and "matsu" mean pine tree. 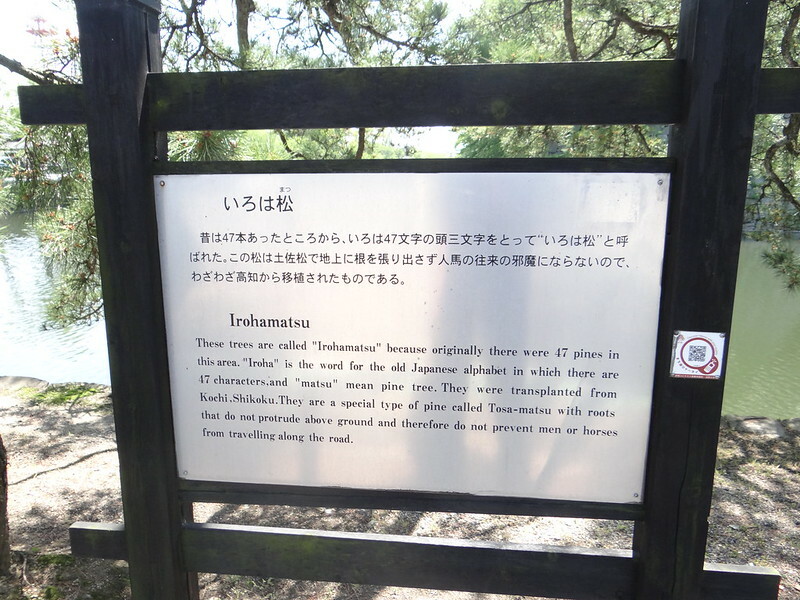 They were transplanted from Kochi,Shikoku. 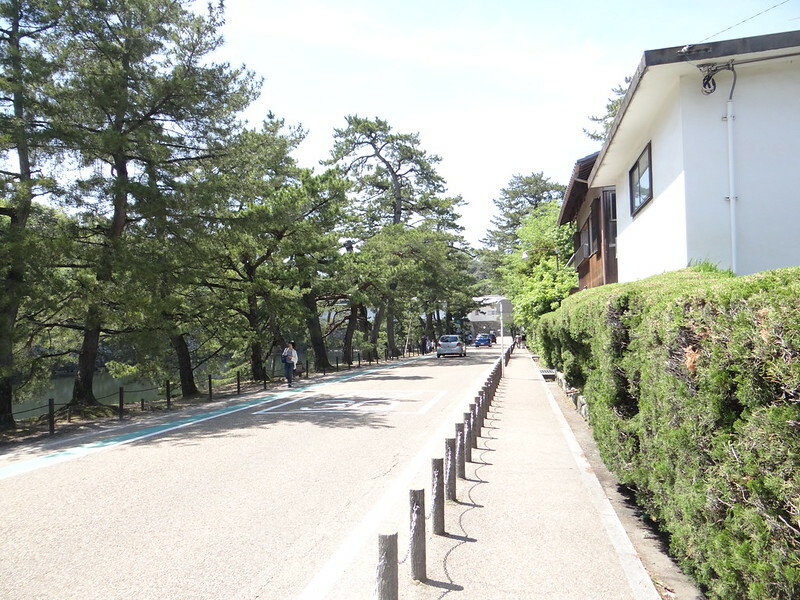 They are a special type of pine called Tosa-matsu with roots that do not protrude above ground and therefore do not prevent men or horses from travelling along the road.